UNLV Howard R. Hughes undergraduate engineering students will compete in the fall edition of the College's Fred and Harriet Cox Senior Design Competition. Teams of students from all areas of engineering, including mechanical, civil, environmental, electrical, entertainment and computer science, will showcase their prototypes and have their projects judged by a panel of industry experts. 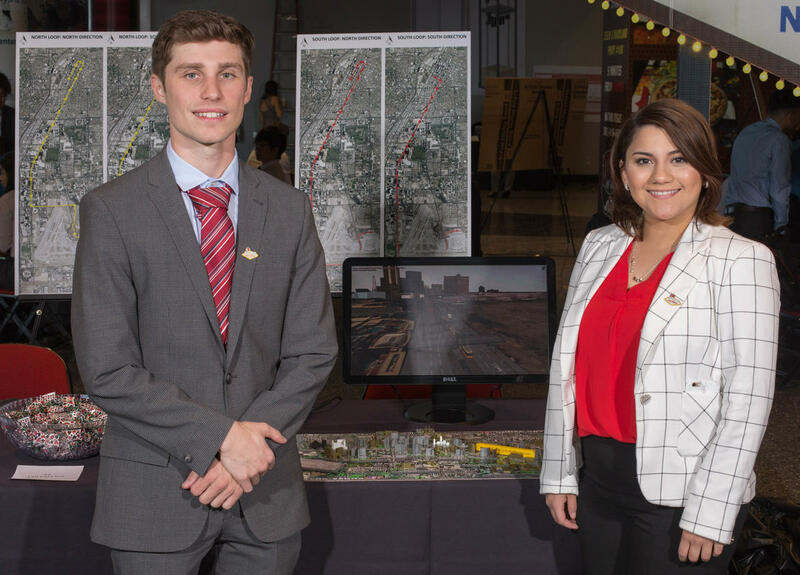 A capstone to every engineering student's academic career at UNLV, the senior design project challenges students to use everything they have learned in their program to plan, design and create a practical, real-world solution to an engineering challenge. Each student chooses, plans, and prototypes an innovative, commercially viable product. Where: HAM Hall & Foundations Building, Blasco Events Wing, UNLV (Click for map). For more information on the competition, visit https://www.unlv.edu/engineering/senior-design.